We had a great time yesterday afternoon! We saw Disney Live! 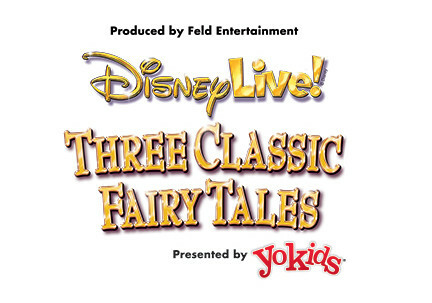 Disney Live Three Classic Fairy Tales presented by Stonyfield YoKids Organic Yogurt. 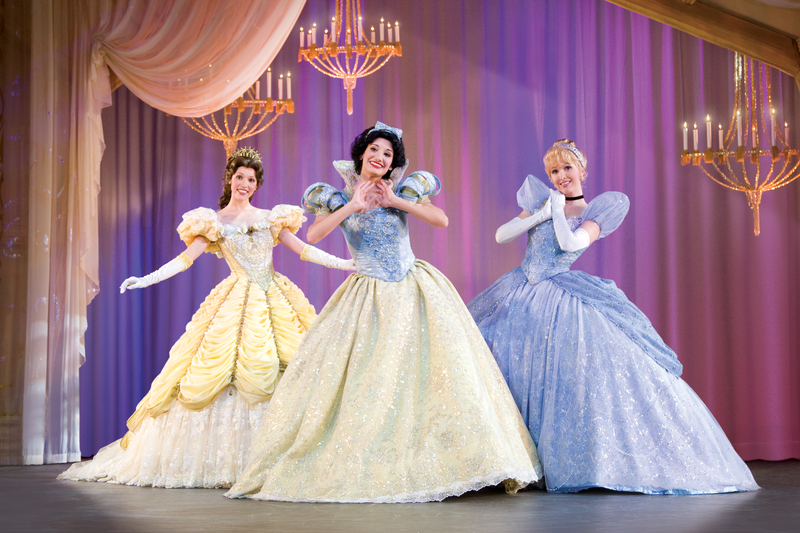 This amazing and enchanting show featured Mickey Mouse, Minnie Mouse, Donald and Goofy as they bring the timeless fairy tale adventures of Cinderella, Beauty and The Beast, and Snow White and the Seven Dwarfs to life all one stage. Before we sat down my nieces and nephews picked up Disney swag, took photo’s at the enchanted princess photo booth, grabbed popcorn, and slushies. My favorite item of choice was the Minnie Ears that light up and yes I did purchase myself a pair. Disney Live shows are for the entire family. As the characters took the stage I glanced around at the audience; Disney fans from the tiniest to the biggest kids at heart were dressed in character from head to toe, eyes big and bright ready to enjoy the show. The show started off with Snow White and the seven dwarfs. Next up was my all time favorite fairy tale – Cinderella. Beauty and the Beast was the third and final fairytale of the afternoon. My favorite part of the show was the talking teapot, teacup, candle stick holder and dancing cutlery. 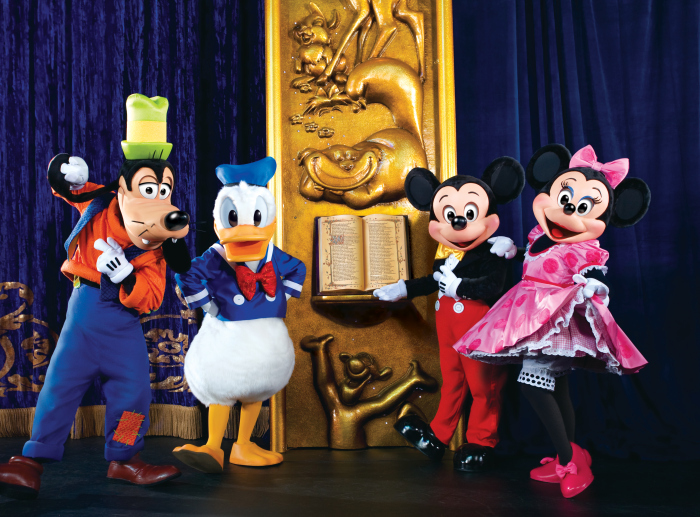 Minnie and of course Mickey were narrators to open each story. It was great to see all those elements incorporated into one live show. 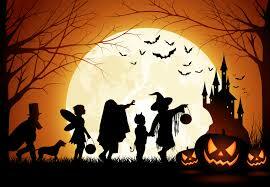 My family and I truly enjoyed watching the Disney Live performance. The dancers, who performed were fantastic and moved quickly through the three stories. The audience interaction was encourged throughout the performances. Snow White asked the audience’s opinion about whether she should eat the poisoned apple. The audience was filled with Disney lovers who sang along with each memorable lyric. 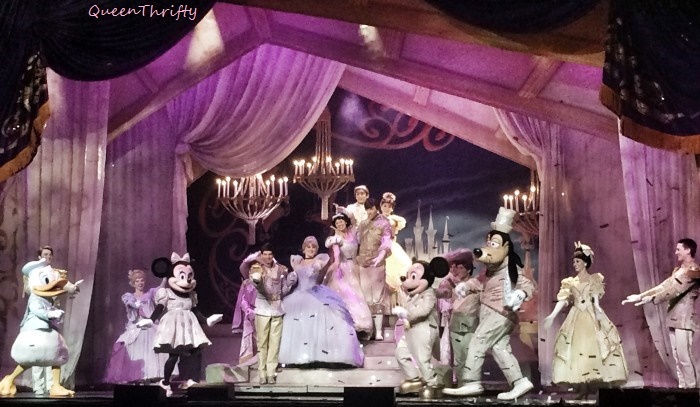 Each scene was magical and the costumes were obsolutely stunning. We sang along “Bippity-boppity-boo”, and “Be Our Guest” then Mickey prompted us there was going to be a short intermission that lasted about 20 minutes. The show is about an hour an fifteen minutes long. 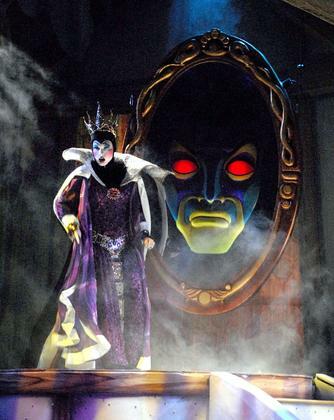 If you are looking for a family fun show please visit Disney Live by clicking here.